Warframe is a thrilling third-person shooting game developed and released by Digital Extremes for Microsoft Windows and PlayStation 4 on 2013 and for Xbox One the following year. In this free-to-play (F2P) cooperative game set in a fictional universe, players will get to control the members of an ancient race called Tenno. After centuries of being in a state of cryo-sleep, Tenno warriors have found themselves in a conflict with different factions. To fight back against their opponents, the Tenno race developed Warframes; which are remote-controlled biochemical suits equipped with unique abilities. Warframe features a game mode called “Conclave” wherein players can engage in player versus environment (PvE) or player versus player (PvP) missions set on different planets, dwarf planets, and moons in the solar system. The “Quests”, on the other hand, is a narrative game mode which consists of PvE missions based on a storyline. The fresh concept and exciting gameplay make Warframe one of the most popular F2P games for Steam and PlayStation 4. If you find it difficult to advance in the game, you might as well consider these 5 tips to playing Warframe. With discipline and practice, you can master the game in no time. 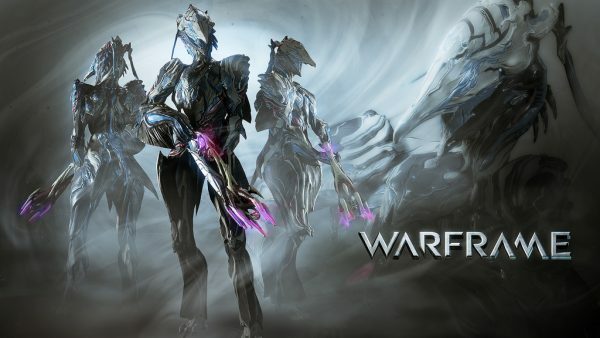 Although the game itself provides a tutorial to help you learn the basics, it does not go to an in-depth discussion of the different Warframes in the game. The game offers each player to pick one out of three Warframes at the beginning, but there are actually more Warframes available. And roughly every three to five months, a new Warframe is added to the game. Familiarize yourself with each and everyone of them and pick the best one that suits your strengths and playing style. Expand your field of view (FOV) by moving the slider up in the game settings. Doing so will make your Warframe appear smaller in the interface, but it will surely improve your awareness of the surroundings. If you are not comfortable playing the game without seeing all the necessary information, you may move the head-up display (HUD) to the edge of the screen instead of removing its contents. There are three basic types of movement that you should master early in the game. Holding the jump button allows you to run vertically or horizontally across walls. Sliding allows you to continue your motion while regenerating your stamina, to launch for a longer jump, and to engage a slash attack. The jump button can be used to execute basic jumps, downward thrust attacks, and jumping kicks. The store contains a lot of great weapons which you can buy using the in-game currency. But don’t let the price startle you. In fact, almost every item in the store can be crafted. Start planning your weapons early in the game and continue to complete random missions in the game to gain components, resources, blueprints and more. Get the latest and the most secure Warframe hack on the internet only from ILikeCheats. This amazing hack is equipped with a smart aimbot that lets you shoot items and opponents with great speed and accuracy. Explore the new Warframe trainers and read more on the comprehensive Warframe guide from ILikeCheats.